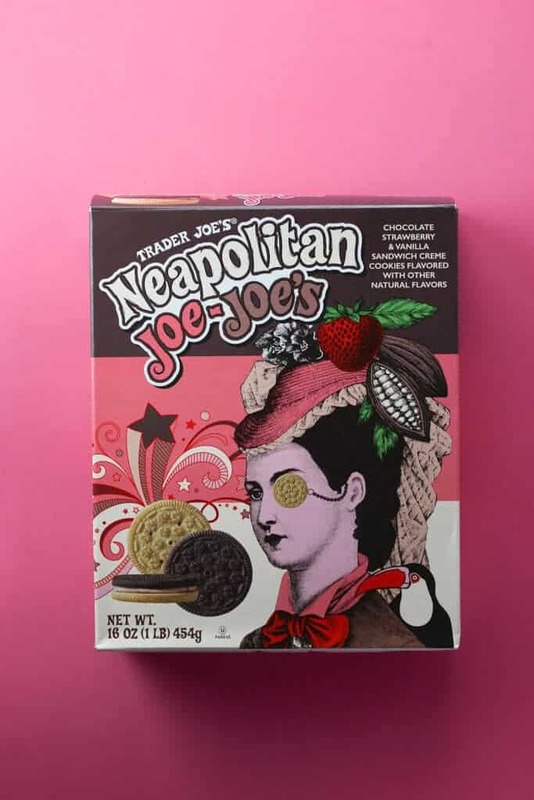 The pros: Trader Joe’s Neapolitan Joe Joe’s is the newest flavor of Joe Joe’s to hit store shelves. The cons: The pairing here might not be everyone’s favorite. We are now pretty much in the middle of summer. If you are on the coasts of the U.S. it seems to have been a particularly hot one. At least that is what my electricity bill tells me. So when in doubt reach for ice cream? But today’s review is about a flavor pairing that is most commonly found in ice cream. 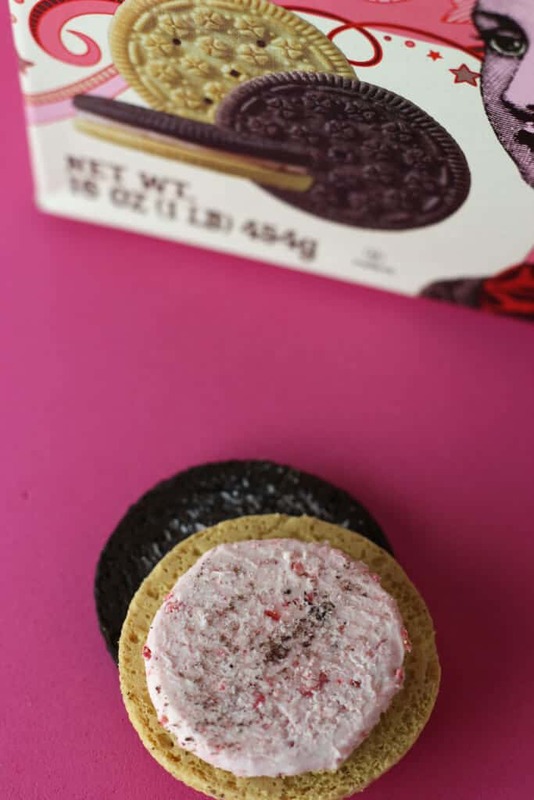 But Trader Joe’s likes to be anything but basic, so why put this as a flavor of ice cream when you can make the pairing into a cookie. Here you have two basic cookie shell’s: the classic Joe Joe’s, which are their answer to Oreos and the Vanilla Joe Joe’s. What is completely different about this one is the filling. Now strawberry can go one of two ways: it can be very artificial tasting or it can be quite pleasant. Trader Joe’s made up a third way: interesting. Now, I don’t use the word interesting lightly. I use it when I’m not sure what to make of it good or bad. This probably sounds strange, but let me explain. There was something about the filling that was a touch weird. I opened these up in the same way I would an Oreo. These seemed well filled like a double stuff. I go after the filling in the same way that my mom’s dog would go after a jar of peanut butter. 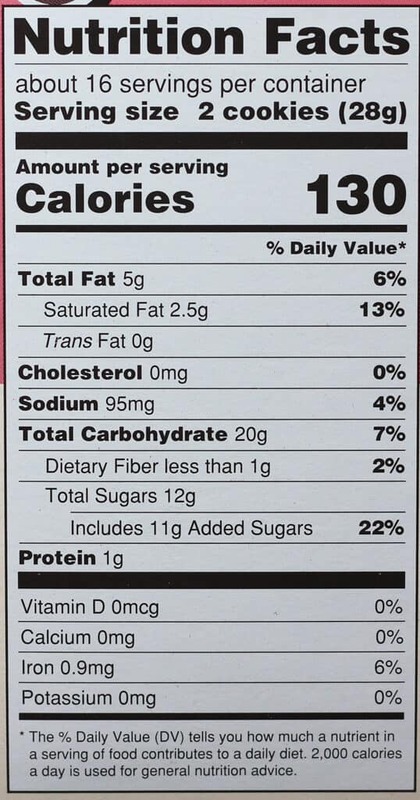 I came across a product I’m pretty familiar with: tiny chunks of freeze dried strawberries. If you’ve never had them, then allow me to explain. They have the texture of a rice cake. They taste like concentrate strawberry. I keep them in the house for baking and oatmeal. Both of those applications require some level of hydration to bring them back to their former selves (and taste less like astronaut food). So for some, this is going to be an off putting element. The bits of freeze dried fruit did not seem to rehydrate in anyway and lent an unusual element to the texture here. 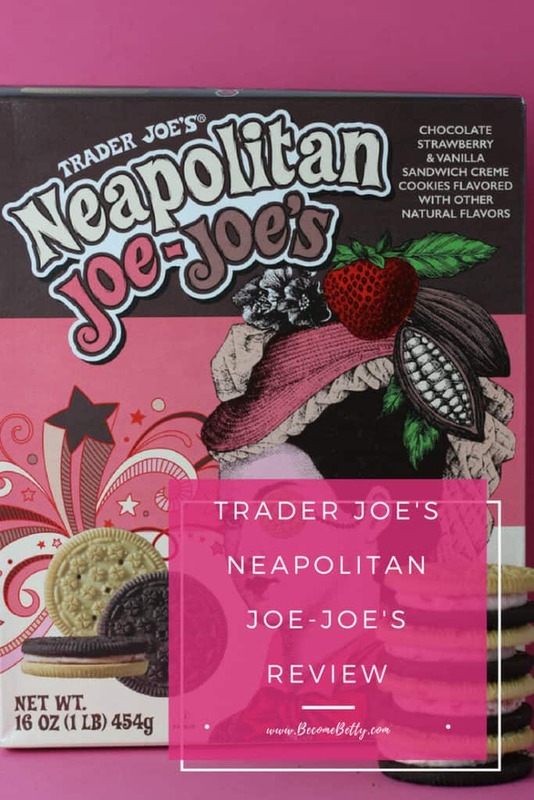 However, if you love the classic pairing of vanilla, chocolate, and strawberry these are at least worth a try, but not a must buy. But be warned, if you like to twist these to see which side the creme lands on, it seems to stick to the chocolate side more. For $2.99 these are priced in line to the rest of Trader Joe’s Joe Joe’s cookies. Would I buy this again? 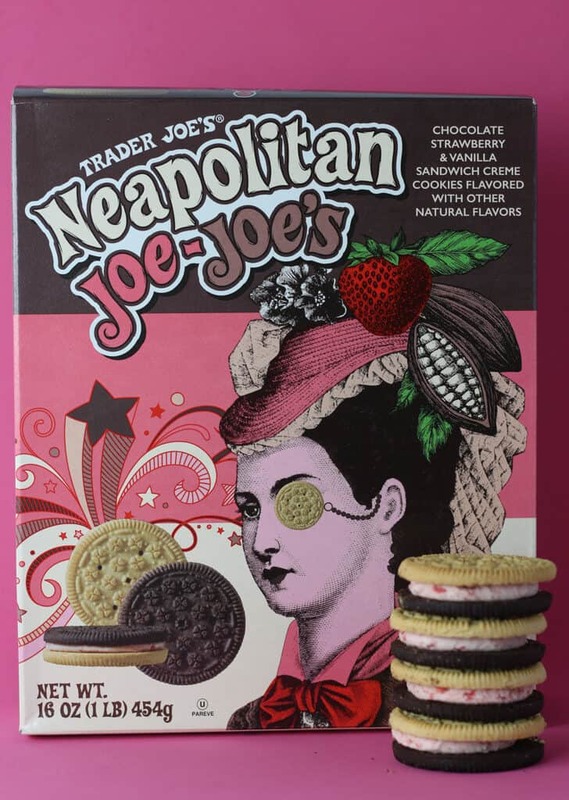 While I didn’t mind munching on Trader Joe’s Neapolitan Joe Joe’s, I’m not sure they will be a repurchase in my cart. WOW!!! Tjs is ahead of the game. Hope they do a cookie butter joe joe. I like that they used different wafers to mirror that Neapolitan experience and using freeze dried strawberries. Hey Alek! I think it’s a great format to have some fun with. Best of all chocolate or vanilla seem to pair with a lot of flavors. Thanks so much for stopping by! I sometimes get behind in reading your posts, but I can’t seem to find the PREVIOUS button lately. Hints? Thanks as always for the comments and support! Thanks – I’ll snag those back ones I missed – only a few! OOh my gosh! When I first saw this I thought they were frozen ice cream treats and got all excited. I could certainly use any form of frozen treat right now because it hit 94° about an hour ago. Stlll these sound really interesting and I might have to buy some just to try them. Hey Dag! This is one heck of a long heat streak for you guys. I hope you get some relief soon! These are just ok in my book. 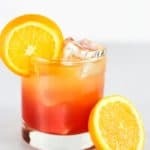 Fun to try once. I’m waiting for the Candy Cane ones to come back. Those were hands down my absolute favorite. Thanks so much for stopping by! Hey Ttrockwood! I love strawberries but I prefer fresh (although in this format it would never hold properly). Believe it or not, I haven’t tried the triple ginger cookies yet. 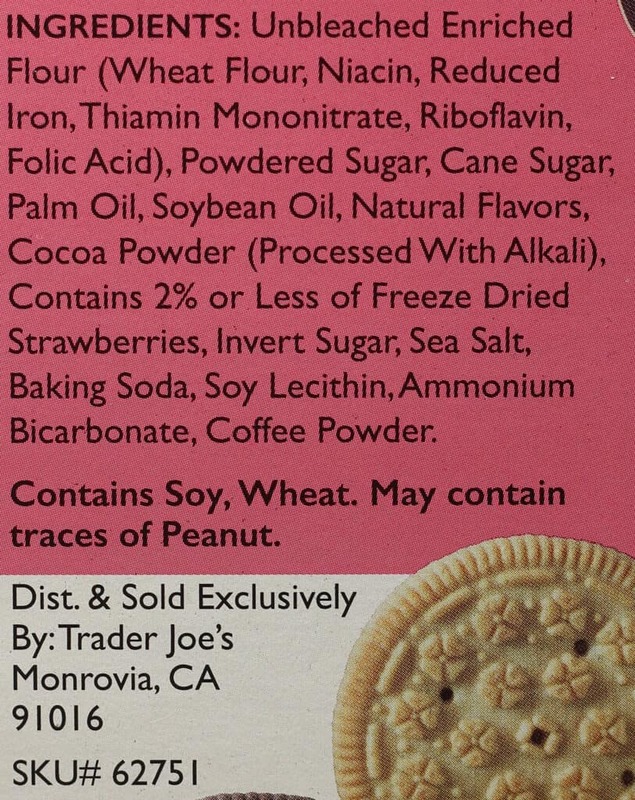 I tried the quadruple almond cookies and ate the whole thing before I could photograph and post it. I’ve been avoiding the cookie aisle. Thanks so much for stopping by! 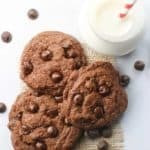 Hey BB- I was reading back on some of the reviews and saw the above response that you’ve never tried the triple ginger cookies! 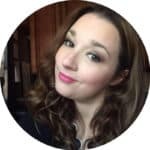 Oh my gosh you have to try those and review them. I absolutely love them and so has everybody I’ve ever known that has tried them. You do have to love ginger though. Hey Dag! I’ll have to try them. I’ll wait until work starts back up to make sure I have extra people who are willing to share them with me :). I know I probably won’t want to share, but it is probably best for all involved!